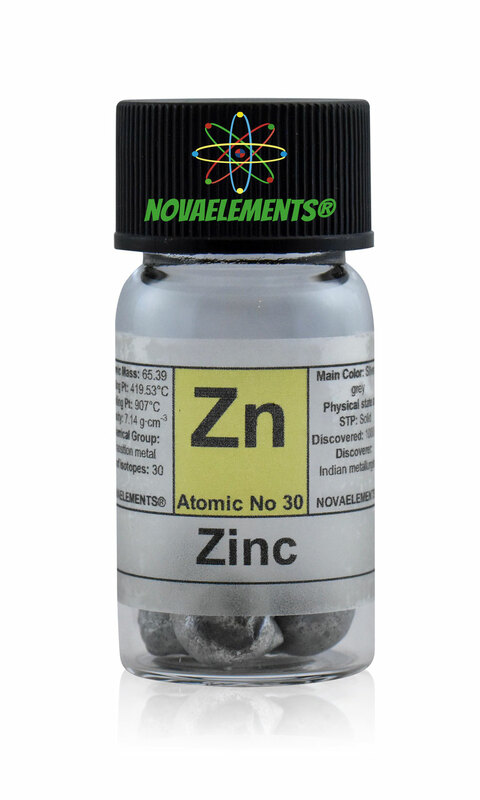 Zinc is a transition metal with chemical symbol Zn and atomic number 30. 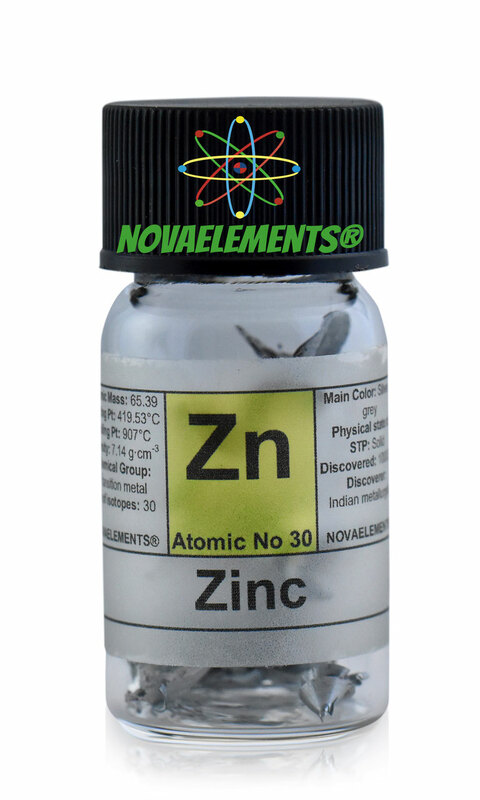 Zinc metal is a strong silvery-white solid at normal pressure and temperature. It is used in several tools in alloy and in pure shape. High purity Zinc metal element 30 sample, 1 gram shiny turnings 99,9% in glass vial with label. 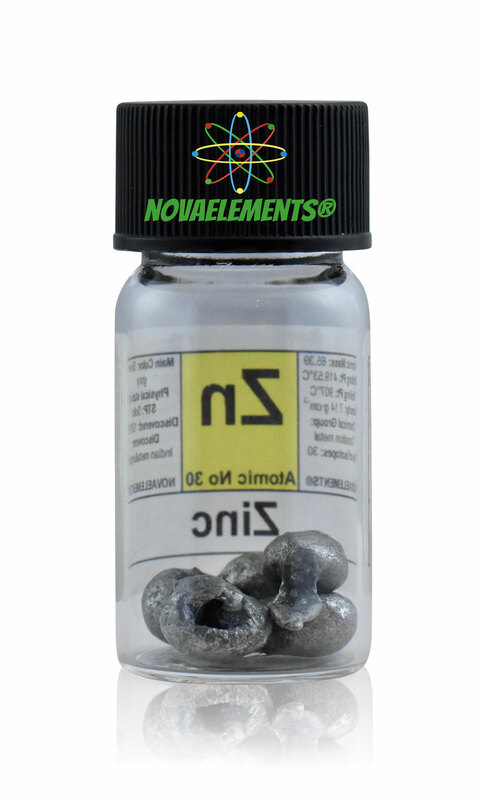 Pure Zinc element sample. 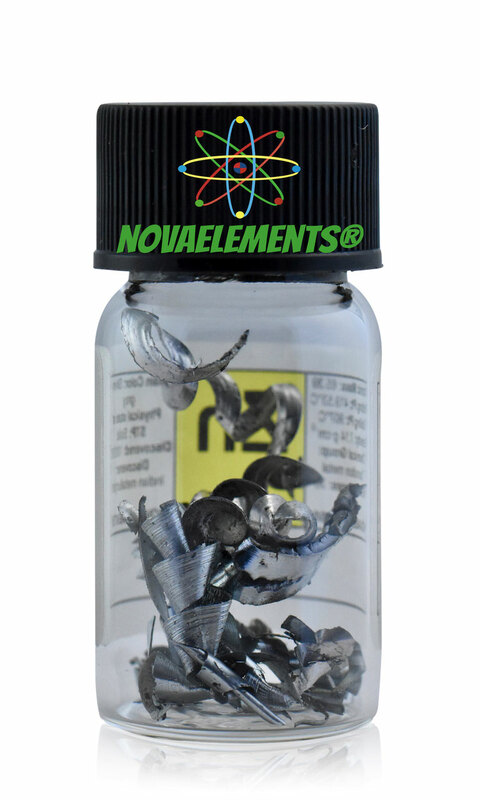 High purity Zinc metal element 30, sample weight > 5 grams 99,9% in glass vial with label. 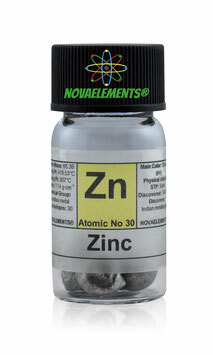 Pure Zinc element sample. 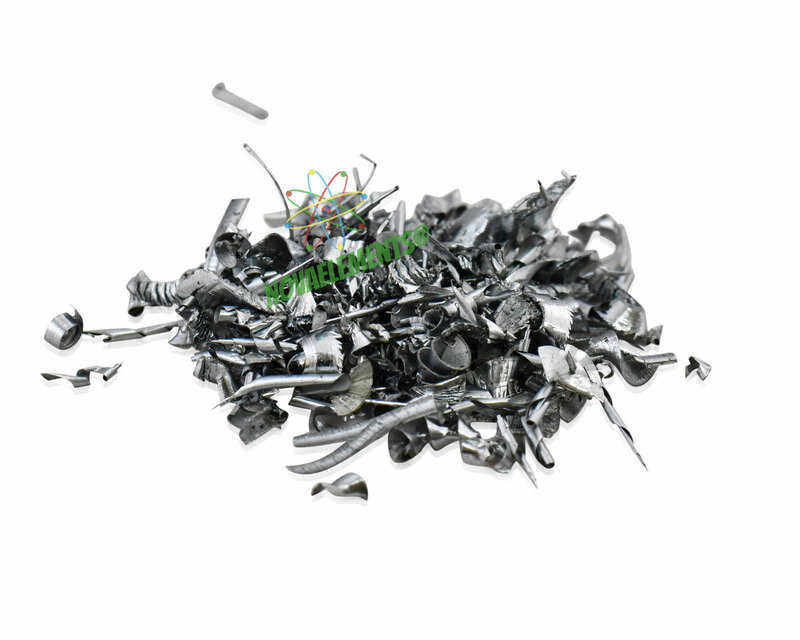 High purity Zinc metal rod 99.95%, pure element 30 Zn sample.